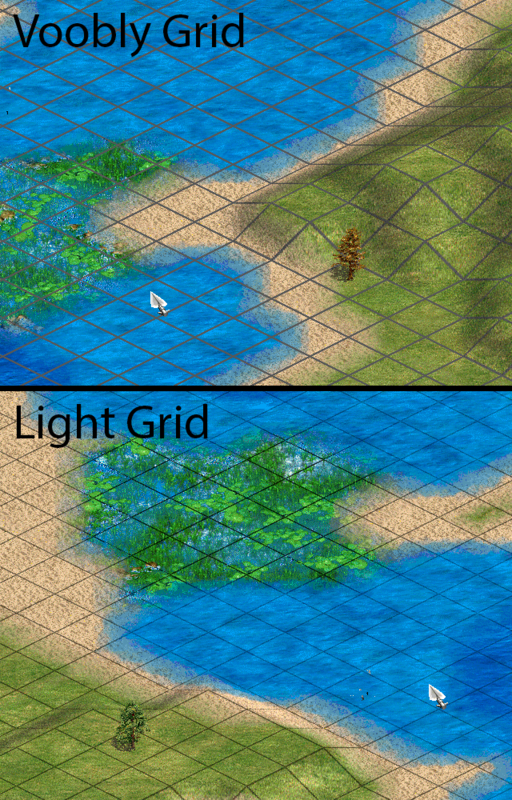 This is NoSnow version of Light Grid Terrains. Grid Terrains on Voobly are solid gray and thick. In Light Grid NoSnow, grids are black and rendered with alternating between 30%, %50 and 75% transparency over standart terrains. So it blends better with original textures and is less disturbing while serving same fuctionality.